FOr this assignment, you get to design your very own t-shirt! Find a blank t-shirt template, then add a picture or some text. It could be a joke, a pop culture reference, a movie quote, or anything else you want. 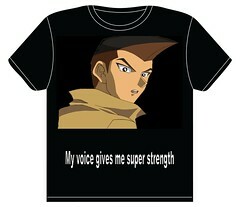 I came across this shirt on coursebb website which is really related to this assignment. It is asking to be cool when you are angry which is great message in my opinion. This seems to be a cool guy who can remain cool even when he is angry. Oh lord, what have I done now. This assignment asked me to create a T-shirt. Since I have recently finished “Stranger Things”, I decided to design a shirt that has one of my favorite scenes of the series on it. I decided to make a t-shirt for one of my favorite drag queens on Rupaul’s All Stars. Her name is Tatianna and here catchphrase is thank you. I feel like the shirt explains itself. For this design assignment, I chose to Create a T-Shirt. This assignment is rated 3 stars. The main objective is to obtain a T-shirt template and add anything you want to it. You think Trump would like my idea? I’ll sell it to him for money. A t-shirt design like no other! Quality work… I think not! Here is the actual assignment. Enrepreneur.com states that no one should work more than 80 hours in two weeks. One reason for this is that the quality of the produced work will suffer due to worker exhaustion. I created this t-shirt on www.customink.com. Step 1: To change the color of the t-shirt, click the change color button and then the blue change button next to the current color and then select the color you want. Stay true to you… make a t-shirt that defines you. I’d like to help you stay true to yourself… follow these steps to show the world how you define yourself. For this we’ll be using canva.com, upload a plain t-shirt template (can find this on google images).